"since it's recent introduction"? Apparently they can't hire a copyeditor either. Bizarre, he doesn't know what he's bought but claims to have saved $550 . But, according the list of backers he only paid $60. Is he the Roohparvar's plastic surgeon? Oops, I read that wrong, he might have plonked down $1k, but didn't. Not suggesting any commercial relationship, but if anyone else wants to look around, Richard Tholen MD in Minnesota, is also into the VC/Angel business. Done. Let's see if they are in any way interested in that. What’s the difference between 1.5 V and 1.2 V? 1.5 V is the nominal voltage for dry batteries, and nickel-metal hydride batteries (such as eneloop) have a nominal voltage of 1.2 V. Dry batteries have a slightly higher voltage than the actual working voltage required by the appliance. Though the nickel-metal hydride battery is 1.2 V, nickel-metal hydride batteries are able to provide similar performance to standard dry batteries. Basically, almost all appliances that require a dry battery can also use Ni-MH battery. Please be aware, though, of exceptional cases where only dry batteries can be used. Yes, not shills at all. Not only that but the "norouzian family" have just, apparently, bought $1500 worth of this nonsense. Forgive me for not reading all 358 pages. Just wondering how this turned out. "With 280,000 subscribers to the EEVblog YouTube channel, Batteroo is none too pleased at the negative attention, and told Fairfax Media its legal team was "looking at" potential action against Jones." 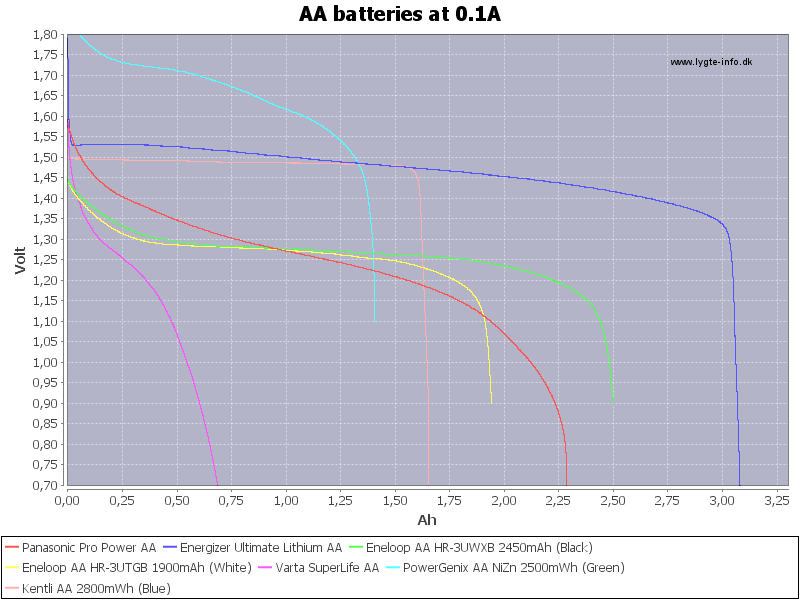 "On the EEVblog (first video from above) after a few critical reviews of the Batteriser, with very indepth discusion and technical explanation, the Batteriser people seem to be buying DISLIKES on YouTube in an effort to discredit the EEVblog." Funny how fact and truth is hard to suppress now days. Damned internet. We should start calling him Big Bad Dave. One scary dude. Watch his videos and tell me he doesn't seem a bit maniacal. To be fair, the fake commenter was right about one thing, it will change the battery industry (albeit ever so slightly)... it'll ensure that "big battery" will sell more product because uneducated or unsuspecting people are using the batteriser and chewing through more batteries than they would without the sleeve. Batteriser -- Helping boost big battery's profits... since 2015. We have some great news to share with all of our supporters! Arrow, a prestigious global $23B technology company and partner of IBM, has diligently reviewed the Batteroo ReBoost product design and campaign and verified that it is feasible for manufacturing. We are now officially arrow certified! The good news doesn’t stop there. As many of you already know, we have launched the Batteroo ReBoost Indiegogo campaign. Batteroo ReBoost is a revolutionary new product that makes rechargeable batteries compatible with all of your devices. 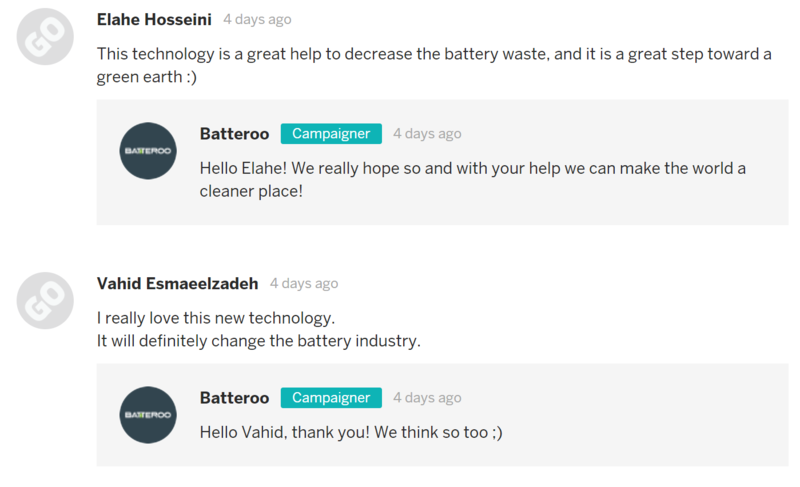 We are just over one week into the Batteroo ReBoost Indiegogo campaign, and have already received around 70%of our goal for the month! We want to make this project a huge success and go above and beyond our campaign goal, but we need your help! Thank you. But there's more! Since we started, we have been getting a lot of press coverage from great organizations such as prnewswire, Thestreet, bizjournals, elektormagazine, Gadgetsin, broadwayworld and many others. You can see an example of one of the articles below. 20X brighter laser pointer? Weapons grade? Indiegogo says making false claims aren't allowed. I'd bet a couple dozen links to test results would get them to shut this down. Right? I just love how they show leaking alkaline batteries when they say that in the video. I'm going to throw out all 40 of my Eneloop batteries, now I know the truth also and they must be talking about Eneloop batteries since they show them in the video. I didn't know these are the rechargeable stuff that damage things. .... and verified that it is feasible for manufacturing. As if there was any doubt a device could be made. We will even give it credit for being able to do something. There are, really, only two questions: Whether that "something" is worth doing - and - whether it will live up to the Marketing. We are now officially arrow certified! Seems a shame how they approached a $23B company - and only got certified by a pointy stick with feathers on the end. Sometimes a capital letter changes the whole meaning.